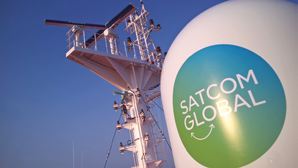 With the demand for limitless high-speed data showing no signs of slowing down, 2018 for Satcom Global has been dominated by a strong focus on maritime connectivity. Advancements in satellite networks with increased coverage, improved and guaranteed connectivity speeds, and greater attention to user friendly interfaces, represent constant developments in maritime communications which are transforming the way shipping owners operate their business, and crew live their lives at sea. 2018 witnessed Satcom Global’s Aura Ku-band VSAT solution go from strength to strength, with an intensive and steady installation program inching us very close to the 1000th vessel live on Aura. Following trials which started in 2017, a number of ship management operators have completed the full rollout of the Aura VSAT service in 2018, including shipping titans Euronav, Zodiac and MSI. As a result of proven performance and industry leading speeds, Aura is delivering reliable business communications to 100’s of new vessels, supporting these leading shipping operators in their efforts to enhance crew welfare through crew connectivity. Access to a high quality and reliable connection for business operations remains a primary requirement for many of these shipping operators, as well as actively investing in a higher performance communications solution to benefit the crew and their expanding bandwidth requirements. With today’s VSAT technology, owners and managers are investing in solutions where they can be much more generous with their connectivity, no longer having to compromise on how they allocate the data they have onboard. Satcom Global’s modern, state of the art network facilitates this easily, essentially providing an open data pipe without restriction. In addition, the strong CIR guarantees performance, alleviating the worry that increased crew online access would be of detriment to business connectivity. There is also a definite shift in behavior from ship managers, promoting BYOD access and crew use of chat platforms such as WhatsApp and Viber, which in the past have been restricted to reduce disruption and distraction from work tasks. More and more, we are seeing proof that access to reliable communications, positively contributes to the mental well-being of crew as well as operational efficiency and safety at sea, which may be helping to change purchasing priorities. Shipping continues to be a key market for Satcom Global, but we are also seeing a notable uptake of improved communication solutions across a range of maritime sectors. As an example, the company’s Offshore Supply Vessel (OSV) customer base has considerably expanded this year. OSV vessels spend prolonged periods out at sea, supporting offshore installations, requiring significant data packages to accommodate large file transfers. Scientific and environmental research is another industry that is requiring a high quality and dependable satellite communications service to support sustained remote working. We are working with a number of maritime research agencies in the South Pacific enabling them to communicate with the shore side of the business, share data, stream live video of exploration and maximize their time at sea. The company has also seen, first-hand, the rise in demand for connectivity from the commercial fishing sector, with a number of customers in New Zealand implementing Aura VSAT throughout their fleet of trawlers and fishing vessels. In addition to fuel saving and harvesting technology, investment in solutions like Aura VSAT is vital for improving operational efficiencies and supporting sustainable fishing practices. As the demands from businesses operating at sea increase, so, too, do the demands from those spending their leisure time on the water. More and more recreational yacht owners and charterers demanding connectivity echoing requirements and expectations they have at home or in the office. Owners and guests onboard expect luxuries such as streaming films, following live sport and operating a home office at sea to keep their business running. As well as a consistent uninterrupted connection, the main demand from this market is for flexibility of service, i.e., the ability to ramp up it up and down easily, and seasonal flexibility for when the service is not required. 2018 has also seen Satcom Global make some major investments in the development of the Aura satellite network. In October of this year, the Aura VSAT network was successfully migrated to the iDirect Velocity platform, bringing improved satellite network management capabilities as well as enhanced coverage and capacity through access to additional satellite beams. Satcom Global was in a unique position to support the migration with as little disruption to customers as possible, as the Aura service was developed with Velocity-ready iDirect X7 modems from conception. This future-proof approach allowed a seamless ‘over the air’ migration for Aura early adopters, enabling them to easily transition to and take advantage of the enhanced capabilities Velocity will bring to the Aura service — all occurred without the need for physical hardware upgrades on board the vessel. The Velocity upgrade has significantly enhanced Aura VSAT coverage and capacity by providing access to a number of new satellite beams. The addition of SKY Perfect JSAT satellite coverage in the Indian Ocean region is key for connectivity across major shipping lanes linking Africa, Europe and Asia, while additional coverage provided by Astra 4A enhances existing multi-beam coverage over the typically congested European waters. SES-10 now provides improved coverage across Panama and the Caribbean, and access to the younger U.S. based satellite, SES-1, facilitates enhanced connectivity across the Americas. As a strategic move in line with market demand, Satcom Global has relocated its headquarters in the Americas to a new location in Nashua, New Hampshire. As well as actively supporting existing and new land-based government and enterprise business, the newly expanded team will have a strong focus on developing sales and partner relationships in a wide variety of maritime sectors. In February of this year, Satcom Global was announced as an official partner for Iridium Certus, and as the company nears the close of the year, the firm is preparing for the hotly anticipated service launch. Launching with a 350 kbps speed, reaching 700 kbps by the end of 2019, Certus is a huge jump in L-band capability. With its global coverage, it will also open up much more opportunity for those currently or looking to operate or travel the Polar regions, which have been a challenge for connectivity for many years. Iridium Certus will soon become an integral part of Satcom Global’s Aura configuration, providing the most advanced back-up available, greatly reducing the disparity between primary and back-up communications services. In addition, with Certus GMDSS ready, Aura will in turn become a GMDSS ready VSAT solution qualifying for global safety standards at sea. As a communications provider, Satcom Global works closely with vessel owners and operators, to develop and provide them the right platforms and scalable services to meet their needs. The company looks forward to entering the new year with exciting new technology to bring to customers. With the uptake of VSAT showing no signs of slowing down and the introduction of Iridium Certus, 2019 is going to be an exciting year for the company. Graeme has spent over 15 years working in maritime satellite communications with Inmarsat, AND Group and Satcom Global. For the newly named Satcoms Innovation Group (SIG),previously known as Satellite Interference Reduction Group, 2018 has been a truly global year. We’ve held workshops on three continents, welcomed two new members (Natsat and Quadsat) and broadened the group’s remit to focus on industry-wide innovation. I am excited about where this shift will take the organization, particularly as there is a great deal of development underway in the satellite sector with HTS, 5G and the super-networks of the future. SIG kicked off the year with our first workshop, kindly hosted by SES. I was joined by several of SIG’s member organizations, including Mark Steel of Inmarsat, Bob Potter of Kratos, Ian Hilditch of ETL Systems, Alvaro Sanchez from Integrasys and Rob Rainhart from Hawkeye, the only non-member on the agenda. One of the main topics on the agenda was LEO, specifically, what issues we need to concentrate on, and should we be worried? Low Earth Orbit (LEO) constellations are hugely exciting and present huge opportunities. Like High-Throughput Satellites (HTS), LEO looks set to help the satellite industry meet growing connectivity demands and cope with new, data-heavy applications. Connected cars and autonomous vehicles are just one possibility, but LEO could also help us connect rural communities and provide internet connectivity to the half of the Earth’s population currently going without. However, we simply don’t know how LEO will affect wider satellite operations. Given the size of the constellations proposed to deliver reliable communications, we could see problems arise from congestion and intermittent RF issues. For now, the benefits outweigh the risk. However, until the first LEO constellation is launched, there will remain an element of doubt. This means, in my mind, we must prepare in advance for any outcome by learning more about the constellations proposed and the way spectrum and transmissions will be managed, and from that find and implement better monitoring solutions to handle this new era of communication. For example, currently we simply don’t have the tools to identify individual LEO satellites which is essential to tracking problems, and that is a cause for concern. This is a subject that will undoubtedly appear on many conference agendas in the new year. I participated in a special edition of Kratos’ Constellations podcast. I joined Mark Steel, VP of Product Development and Strategy for Inmarsat, and Bob Potter, VP of Signals and Ground System Technology for Kratos, to discuss smallsats, interference, AI and EPFD limits. You can read about what was discussed and listen to the podcast via this direct link. I was also pleased to moderate a panel exploring the potential for Machine Learning (ML) and Artificial Intelligence (AI) to solve interference and manage future networks. AI has been a game changer in many other industries, but we haven’t seen its potential explored much in the satellite sector. SIG believes it has the potential to significantly improve processes and efficiency in many aspects of operations, particularly when it comes to dealing with more diverse services and constellation challenges. As satellite operation migrates towards being more of an ISP, managing incidents will require any operator to think more IT than RF. Using AI and ML can help that migration, but we must change the way we think. That’s why we need certified procedures, high grade transparent information gathering standards and excellent data quality of machine as well as human input. As we ask careful questioning and feed suitable data to an AI-based solution, the more sophisticated it becomes in resolving issues through mathematical probability. This could be beneficial for satellite, especially when it comes to plugging the gap left behind by retiring engineers. But we need to start employing data scientists as well as IT experts. They, in turn, can then be taught about RF. My belief is that it may be possible to build some sort of ‘digital assistant’ system capable of predicting and identifying errors before they become disruptive. There is a lot to do to make it work and it is also a visionary game changer with many difficult managerial questions to answer, such as the sharing of data, and the discussions up to CTO/CEO level to ensure understanding of what it means — including the strategic and technical risks — to assist the managerial evaluation and assessment. SIG strongly believes it is essential to bring organizations together at the engineering level — engineers simply don’t participate in trade shows, so SIG events such as the numerous events held during 2018,are essential if we want to facilitate working relationships within the industry. This year was the group’s 20th anniversary, so for our European workshop we decided to return to where it all started — Paris. Eutelsat kindly hosted the event which was a great opportunity to recap on the last two decades and reevaluate the future. This was where the change to SIG was born. A week later, myself and SIG director, Guido Baraglia, headed to London to hold a workshop at the MilSatCom event. The workshop, titled ‘Space Situational Awareness, the threats to SATCOMs, and the tools and technology needed to mitigate these threats’, even featured a live RFI geolocation demonstration. A point of discussion was how to make MILSATCOM more resilient to the by-products of a more crowded space environment. To this end, AI was yet again cited as an effective solution. IBC was also an important date in the SIG calendar — almost everyone from the satellite industry into the same room as the broadcasters. Our champagne reception also seems to be becoming an annual event, with ETL Systems kindly hosting on their booth for another year. In my opinion, satellite doesn’t get the attention it deserves at IBC, a shame given how it is a key enabler of broadcast video. We also held a member’s only meeting to pre-brief our membership on the change to SIG, which we announced at our first ever joint event with Intel-Sec in Singapore at Satellite Technology Asia 2018. We combined the audiences of both Intelligence-Sec and the Satcoms Innovation Group for the two-day workshop. Our activities in the APAC region don’t end there, as I also headed to Indonesia ahead of Satellite Tech Asia to moderate a panel on day three of APSCC all about space debris. The subject is undoubtedly one of growing importance, and something SIG hopes to look at in more detail over the course of 2019. One area which has experienced a great deal of development in the last few years is Very Small Aperture Terminals (VSATs), the burst mode, TDMA systems. It’s no surprise given that they are reportedly one of the most common causes of interference. Installation and product approval issues are a large reason for this, as VSATs tend to be operated and installed by non-satellite professionals. As such, developments have focused heavily on increasing automation to tackle this. Some of this includes tools which can ensure VSATs are aligned correctly from deployment, while others can automatically monitor and report errors within a matter of minutes so disruption can be kept to a minimum. Aside from human error, a big cause of VSAT issues relate to poor product quality, particularly for comms on the move. This a difficult thing to solve, due to the pressure to deliver cheaper satellite services. However, effort from operators such as Arabsat, Eutelsat, Inmarsat and SES are clearly helping to limit the problem of poor product quality. Inmarsat has a stringent type approval process for any terminal to be allowed to operate on its network to ensure service quality and correct operation at all times. Others have managed to put a stop to much potential interference by asking users to commit to using specific antenna models from an approved list of manufacturers. It appears far less long-term incidences of VSAT interference are now occurring, thanks to the operators and solutions such as SatGuard and SatMotion Pocket, provided by Kratos and Integrasys, respectively. In short, most of the industry seems to have accepted that we must work together to prevent interference and have got on board to do their bit to solve it. That’s why we think it’s the right time to become the Satcoms Innovation Group. In 1998, the Satellite Users Interference Reduction Group (SUIRG), was born. Acting mainly as a forum for operators, users and manufacturers to work together, the group set out to better understand the issue of interference and come up with a way to solve it. In 2011, it became the Satellite Interference Reduction Group (IRG). Since 1998, we have reached many milestones including the inception and introduction of Carrier ID and many other interference mitigation technologies built by our innovative members. In recent years, there has been considerable headway, both in terms of raising the awareness of interference and in terms of encouraging technology developments that go a long way to eradicating the problem. To help us widen our remit is why we have rebranded to the Satcoms Innovation Group (SIG). In short, this change means that our group can now encompasses all types of innovation within the satellite communications industry. We aim to promote innovation in the Satcoms industry to improve operational efficiency, reduce the risk of service impacting events, and improve quality of service. This does of course still include a commitment to minimizing satellite interference. But we believe it is essential that we encourage innovation in other areas where it could improve performance and boost the competitiveness of the satellite industry. Find out more about this expansion here. 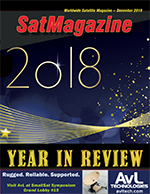 2018 has been a dynamic year for Satellite Vu and one that has brought some important recognition of our vision. As we look forward to becoming commercially operational, the company faces a pivotal year in 2019 as we prepare to launch the first of the firm’s multifunctional satellites. The Satellite Vu fleet will comprise seven small satellites. Our specially developed payloads will produce high resolution infrared imagery which is interpreted and converted into timely data using unique algorithms that end-users can readily access. Data produced by Satellite Vu can also be overlaid onto other forms of data such as social media, mobile phone and proprietary information. This results in another layer of intelligence from which new business insights may be generated. The satellites will re-visit a target site multiple times a day, throughout the day and night, and produce imagery regardless of the weather conditions so that constant, near-real time monitoring is possible. Satellite Vu’s smallsats will provide Big Data that will be converted into meaningful information that can be used by a plethora of industries and sectors from environmental, agricultural all the way down to businesses such as insurance companies. The focus in 2018 has been very much on the issue of plastic pollution and how Satellite Vu is going to enable governments to effectively tackle what is rapidly becoming an uncontrollable situation. The value of plastic pollution is reportedly $139 billion per year. The effect of plastics on marine life is devastating and today, plastics are inevitably also in humans. The Plastics campaign kicked off in March when the company unveiled Satellite Vu to the industry in Washington DC and has garnered a great deal of attention. The technology offered by Satellite Vu significantly decreases the time in which it takes to measure the plastics problem. We are looking at reducing the process from years to weeks. If we can enable rapid identification of where the plastic is located and where it is originating from, governments and organizations can act. This is where our rapid re-visit times are so critical, because we build up a real-time picture of where the plastic is becoming built up we can track it as it happens. Measuring the distribution of plastics is also essential in enabling us to tackle this problem. We will provide direct multispectral measurement of the plastic contamination providing actual, rather than simulated data therefore giving the true scale of the problem. Infrared sensors, that will be built into the Satellite Vu payload, will detect the presence of floating debris and, ultimately, the type of plastic. Then there is the data analysis. If the data is not processed quickly and precisely, the problem is simply allowed to grow, costing economies even more and resulting in wasted efforts. Satellite Vu offers both speed and precision, helping users to better identify the source. Following on from the debut of this campaign, we gave a presentation at the Satellite Finance Network (SFN) in the UK, which also served to explain our ambitions in terms of plastics monitoring. The SFN works to attract investment, to identify regulatory barriers and other impediments to growth and to promote business opportunities between companies. The SFN presentation enabled us to raise awareness in the UK. As a UK-based organization (we also hope to launch our satellite from the UK), this was an important opportunity for the firm. Over the past year, Satellite Vu has gained considerable recognition in terms of the capabilities we offer to tackle plastic pollution. In May, Satellite Vu won the European Space Agency’s (ESA’s) Ocean x Space competition, which was held during the 8th edition of ESA’s annual Business Applications Conference in Stavanger. The competition invited small companies of 50 employees or less to submit ideas for innovative, space-enabled services in the maritime sector. Among other criteria, the judges were looking for clarity of value proposition, the problem to be tackled, the use of space assets, technical feasibility and the maturity of the idea. The award reinforced the importance of what Satellite Vu is striving to achieve. Gaining recognition from ESA meant a great deal to us and further validates what we are doing. In October, Satellite Vu was invited to exhibit at GITEX in Dubai by the Mohammed Bin Rashid Space Centre (MBRSC). 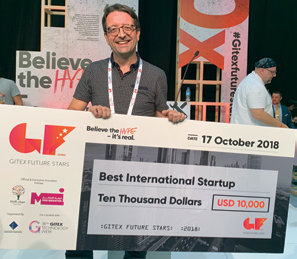 Part of the overall event was the Supernova Challenge competition and the company was awarded the title of Best International Start-Up and claimed a $10,000 prize. The judges’ criteria focused upon the originality of the idea, its potential in terms of longevity, actualization and profitability, the team, the functionality of the product or service and its impact on social, cultural and environmental issues. As a result of the exposure at GITEX, Satellite Vu has been approached by a number of companies and government organizations that wish to explore applications using our technology. 2019 will be a pivotal year for Satellite Vu. The company aims to have our platform operational and we will be generating revenue. Additionally, our future satellite sensor will be in the final stages of completion. 2019 is set to be an exciting and ambitious year and the team is looking forward to making it a success and seeing our technology doing good things for the planet. From a financial standpoint, the firm is currently funded by seed funds. However, we anticipate that we will close on a grant and a large revenue generating contract this year and we will seek new investors early next year. In terms of our technology, after working with a number of manufacturers on the design of our satellite, we have down-selected to two firms. We expect to make an announcement in early 2019. In terms of our software platform (which we will use to be able to showcase our imagery and support image enhancement and analytics), we have identified all partners and technology solutions to enable an early start of service. In 2019, we expect to begin the sale of services — and revenue generation. Expect further announcements covering other applications of commercial value that our technology will fulfill. The company is currently working with a range of partners on these applications and real-world solutions. An exciting 2019 is expected by Satellite Vu as the technology developed by the company is expected to be doing its part to make this world a far better place. Electronically Steered Antennas is probably the area where most innovation is taking place in our industry during the past couple of years. NSR forecasts 1.9 million Flat Panel Array antenna shipments in 2027. The shipment breakdown indicates the majority of these to be used for broadband access, Non-GEO applications, hence requiring low cost, electronically steered antennas. Two major trends are pushing the industry: the increasing uptake of Aero and other mobility implementations and high-speed data satellite constellations (LEO/MEO). The satellite industry is facing a challenge to develop a low cost, electronically steered antenna for the likes of OneWeb, Telesat, SpaceX and others. More than 20 companies are “competing” in a race to develop such antennas. SatixFy took on this challenge in September of 2016, with a target to show a first prototype in two years’ time. The tasks facing the company were extremely complex: defining the correct requirements to meet future needs, choosing the correct technological solution and securing the funding for development and executing the plan. What Will the Market Need? The most obvious requirements are affordable antennas for mass deployment and being able to track and perform a handover in LEO orbit — such needs require a form of electronic steering. The technology investment would need to fit mobility and broadband and, in addition, future use cases such as Internet of Things (IoT). A new service model is emerging where capacity is increased and service grades differ by using multi-orbit satellites. For example, in-flight service will receive broadcast/multicast content from GEO and low latency internet service from LEO. Such service model is best served with an antenna capable of beam forming multiple beams simultaneously and directing them to different orbits. Many differing technological approaches were taken by various companies as they try and solve the market need equation. SatixFy is a developer of silicon technology and a great believer in silicon economics. The company’s algorithms implemented on advanced silicon process nodes deliver the best fit for volume manufacturing, without a need to use complex materials or experimental physics. SatixFy’s beam forming is digital True Time Delay implementation, excelling over analog phase shifting when higher instantaneous bandwidth, larger number of elements or a combination of both is required, which is typically the case with modern HTS transponders. SatixFy’s affordable antenna is comprised only of a Circuit Board with printed antenna elements and a combination of Digital Beam Former (DBF) and RFIC chips mounted on it. SatixFy’s choice was designing an all-digital, generic Beam Former (“Prime” DBF) combined with band specific RFICs (“Beat” RFIC), both using the most advanced CMOS silicon process for low cost and low power. Digital beam forming has the advantage of creating multiple beams simultaneously without being limited in bandwidth or having beam squint, as could occur in analog phase shifting. The technology development project was co-funded with the UK Space Agency through the European Space Agency ARTES program. SatixFy opened a large antenna design center in the UK (Farnborough) and assembled a team of talented engineers to work on the project. An AERO antenna for the In-Flight connectivity market is being developed in a joint venture with Singapore Technologies Engineering. In 2018 SatixFy taped out two chips, “Prime” DBF and “Beat” Ku-band RFIC. These two chips are the key building blocks for an Electronically Steering Multi-Beam Antenna (ESMA). This was a major milestone achievement for the company, having embarked on the idea only two years ago. “Prime”: a generic digital beam former. Uses True Time Delay technology to point wide band multiple beams simultaneously both in transmit and receive. Prime chips can be cascaded digitally to support various antenna sizes (small to very large) and shapes (flat or conformal). “Beat”: A band specific RFIC (first version is Ku-band) containing all the RF electronics (PA, LNA, etc.) for multiple transmit and receive antenna elements. Each antenna element has a dedicated beam forming channel so full control is achieved on every element enabling control of each individual element separately. SatixFy also designs and builds the antenna boards — 64 and 256 element Ku-band antenna boards will be available in 2018. To enable design partners enjoy an early adopter advantage, SatixFy has built “Prime” and “Beat” evaluation and development environments. These development boards enable measurement and characterizing of every single element and forming of beams from multiple elements. Coupled with a software package, it provides a tool kit to design and build antennas based on the key building block ASICs. A small mobile Antenna Measurement Test Range (AMTR) provides additional means for developers to quickly analyze and measure the performance and capabilities of the antennas they design. 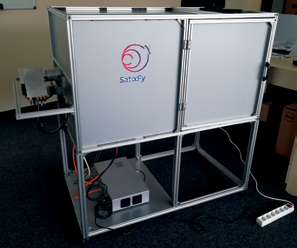 During the past couple of months, SatixFy has been demonstrating this breakthrough antenna technology at major satellite conferences and trade shows. L-band and Ku-band beam forming demonstrations show the capability of the antenna to quickly form multiple beams simultaneously as well as the ability to track a moving source at high speed. To create a complete terminal the antenna needs to be coupled to a modem. There are two connectivity options. The first is using standard L-band IF interface, which is agnostic to the modem. Each beam requires a separate L-band interface and a modem. The second is connecting the DBF via high speed SERDES lines directly into a digital interfaced modem SoC and process multiple beams in a single modem chip. SatixFy’s SX3000 modem Soc is tightly coupled with the beam former and can achieve a very cost effective multibeam terminal solution. For SatixFy, 2018 was the year wherein the electronically steering antenna dream became a reality. Gil Shacham has extensive product management, product marketing and business development experience in the wireless marketplace. He is the Vice President of Marketing and Product at SatixFy. Gil held senior positions in Gilat Satellite Networks as head of product management as well as in Clariton Networks and Alvarion where he dealt with WiFi, WiMAX and cellular products.